T-sacs are the ultimate combination of convenience and quality in steeping. 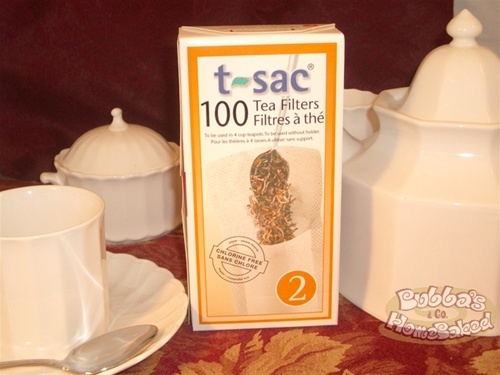 Each filter is effectively a one-time use tea bag that you fill with your tea of choice. Size #2 is for a 2-4 cup pot but you can use two or more for larger pots. This size is also great for travel � but the pot, not so much!! A bottom fold opens automatically to provide enough volume for the tea leaves to properly unfurl and infuse. Tea filter paper is made of only the finest wood cellulose and cellulose fiber to ensure extremely high strength. Biodegradable material. Chlorine-free, natural brown (as it is unbleached) tea filter.